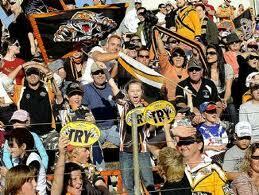 An apology to Tigers fans from Pinocchio | Stand, spray and deliver. No apology needed. 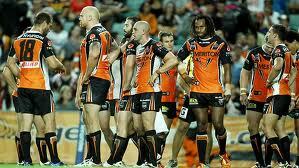 I feel like I have to apologise for being such a hardend Tiger’s fan, it has been truely depressing this year. However, I still scratch my head at why they got such a pump up at the start of the year. I definetly thought they were top 6, but premiers? They never convinced me that they were going to magically change at the start of this year to suddenly produce Melbourne type performances week in week out. And I’d hate to say it, but losing Lui has really hurt us in attack. He gave the line some good shape when we were attacking opposition trenches, something i havn’t seen a great deal of this year. I’m now past expections mode for the tigers this year, I’ve entered prayer mode. I just want to make the eight. I had a dream. (No not about bursting into song). I dreamt that players of yesterday from the defunct clubs Balmain & Wests were reincarnated. There flashing before my eyes were Jack,Lulham-sans thalium-Dimond,Devery,Holman,Marsh DeBelin,Kelly,Oshea,Roach,Walsh,Starling and Dorahy. Taking the field for the Grand Final after a season without loss expectations were high. I then awoke to the reality of today’s nightmare. I want in on that dream.